What’s the most transformative piece of technology in U.S. classrooms? Smart boards? Laptops? In a 2000 paper on computers in education, Steven D. Krause argues that it’s one that’s been around for nearly two centuries: the blackboard. And he suggests that if we want to understand how teachers adopt technology, we might want to study its history. 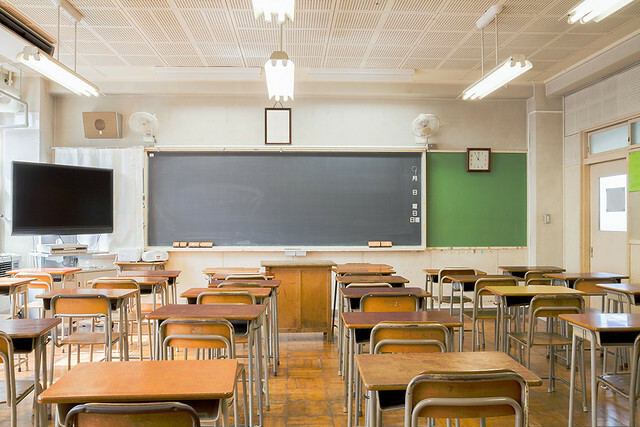 To understand the impact of blackboards, Krause writes, we need to consider what schools were like before them. Around 1800, most U.S. schools were one-room log buildings with a fireplace at one end and a single window at the other. “Writing lessons” generally meant students working on their own, whittling goose-quill pens and copying out texts. It’s important to remember that school budgets and student-teacher ratios in the early nineteenth century would seem ludicrous to a modern school district. One teacher might be responsible for hundreds of students, with very little funding for supplies. The whole dusty story at “How blackboards transformed American education.” Read Krause’s paper, “‘Among the Greatest Benefactors of Mankind’: What the Success of Chalkboards Tells Us about the Future of Computers in the Classroom,” here. As we clean the erasers, we might send repetitive-but-instructive birthday greetings to Edwin Ray Guthrie; he was born on this date in 1886. A philosopher and mathematician by training, he became a leading behavioral psychologist, specializing in the psychology of learning and more specifically, in the role association plays in acquiring skills. He’s probably best remembered for his belief that all learning is based on a stimulus- response association, instantiated in his Law of Contiguity, which held that “a combination of stimuli which has accompanied a movement, will on its recurrence tend to be followed by that movement.” Movements are, he argued, small stimulus- response combinations; these movements make up an act. Thus, a learned behavior– an act that is consolidated by the learner so that it can be repeated– is, at its root, a series of movements. 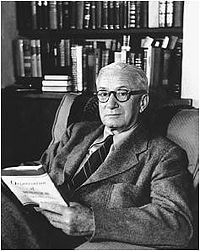 Guthrie believed that what is learned are the movements (of which the behaviors are simply a result).